(19589.87.44, Alvin Rucker Collection, OHS). The County High School Law of 1901 established a precedent for twelve years pf public-school education for rural Oklahoma youth. The measure was Oklahomans' second effort to provide their children with more than eight years of schooling. In Oklahoma Territory (O.T.) after 1890, rural education at first comprised "subscription schools," paid for by pupils' parents. In the Indian nations, various schools and academies operated under tribal governance or in connection with religious missions. The 1890 Organic Act for O.T. directed each county to set up school districts and build schools as part of its organization for governance. In 1891 the territory's legislature enabled counties to create a high school for every six-mile-square township; that law was repealed in 1893. The existing rural schools, then called "common schools," offered classes through only the first eight grades. In 1901 the Oklahoma Territory legislature passed a county High School Law. This act gave every county with more than six thousand residents responsibility to establish one county high school for the entire county, in addition to the existing common schools. As money and transportation were lacking, only four counties—Logan, Alfalfa, Creek, and Okfuskee—successfully set up such a facility. Logan County expanded the existing Guthrie High School into a twenty-three-room building attended by 422 pupils from all around the county. Alfalfa County gained a high school, situated at Helena, originally in Woods County but attached to Alfalfa when the map was redrawn. The school had six teachers and 185 students. Creek County established a high school in 1909 at Mounds for more than 100 students, but with no new building. Okfuskee County High School opened at Paden in 1909 with only a few dozen in attendance at an existing facility. The legislature also built regional schools at Tonkawa (University Preparatory School, 1901), and at Claremore (Eastern University Prep School, 1909). Both were co-educational. All of these schools offered either a three- or four-year program of study. The curricula were college preparatory (English, history, mathematics, foreign languages, science) but following the precepts of John Dewey's Progressive Education movement, also included vocational education in agriculture, domestic science (home economics), commercial practices (business methods), and teaching. Graduates of a three-year school earned a teaching certificate and admission to a state normal school; graduates of a four-year program could be admitted to the state university or the state agricultural and mechanical university. Throughout the territorial period and past 1907 statehood, counties' governments and voters consistently rejected tax levies for school construction. In some cases, a growing number of villages and small towns opened a three-year high school, obviating the need for a county-wide school. Transportation of children to one central location was also an issue. By 1908, 184 of 353 village, town, and city school districts offered some level of high school education. The 1901 County High School Law was repealed in 1909. However, in 1911 the Legislature passed a law that applied only to Cimarron County for a county high school at Boise City. Nevertheless, Oklahoma's Constitution did mandate free public education and compulsory school attendance from age eight to sixteen. Immediately after statehood, increasing population led counties to establish many rural common school districts. For another three decades the counties' common schools, serving grades one through eight, remained the basic educational opportunity for most rural children. In the 1910s and 1920s some counties were able to create rural consolidated districts, enabling larger schools. By 1916-17 such combined facilities enrolled 2,578 rural high-school pupils (less than 1 percent of a total student enrollment of 387,135 in 5,586 rural districts), compared to 22,927 high-schoolers in cities and towns with independent school districts (17.5 percent of a total enrollment of 130,714 in 197 districts). 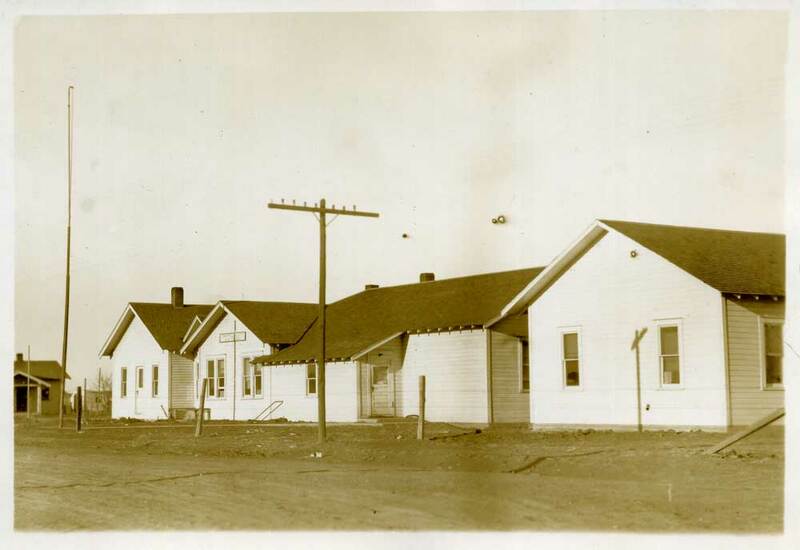 Thus, up to the time of World War II rural schools enrolled many more students as urban schools, because Oklahoma was an overwhelmingly rural state, and fewer rural students had access to a high-school. In all cases, the number of schools and teachers and the quality of buildings and curricula serving an urban or rural area depended on the amount of funding available from all three levels of government. Frank Balyeat, "County High Schools in Oklahoma," The Chronicles of Oklahoma 37 (Summer 1959). "A Brief History of Oklahoma Schools," in First Biennial Report of the State Board of Education (N.p. : State Board of Education, 1912). "High Schools," Second Biennial Report of the Department of Public Instruction, State of Oklahoma (Guthrie, Okla.: N.p, 1908). Seventh Biennial Report of the State Superintendent of Public Instruction (Oklahoma City: N.p., 1918). Dianna Everett, "County High School Law," The Encyclopedia of Oklahoma History and Culture, https://www.okhistory.org/publications/enc/entry.php?entry=CO085.